Today’s Simple Saturday post is super quick. I’m making it in just under the self-imposed deadline, since we let the twinkies stay up a little (a lot!) Late top watch fireworks, and I only just now have a second alone with my phone. I had a picture in my head of an aqua background with pink roses (I have a thing for pink flowers, obviously), but I also wanted to keep it as simple as possible. 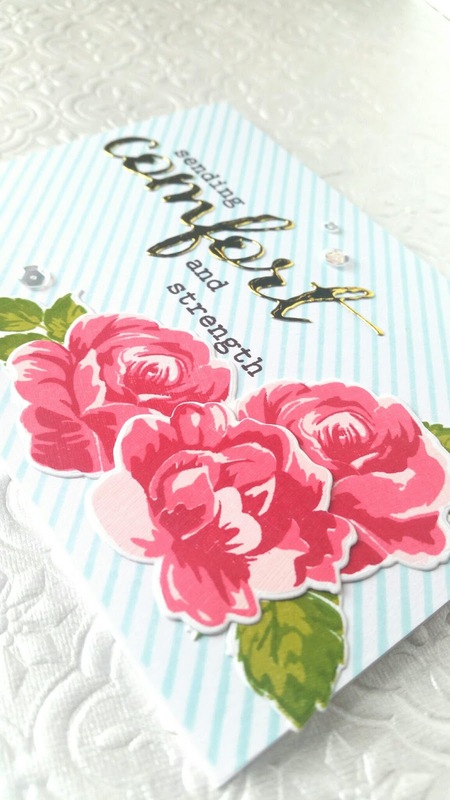 This “keep it simple” rule is one that I struggled with… I kept wanting to add something… Heat embossing, watercolor, etc. It was much more challenging than I expected to stick with just stamps and ink. 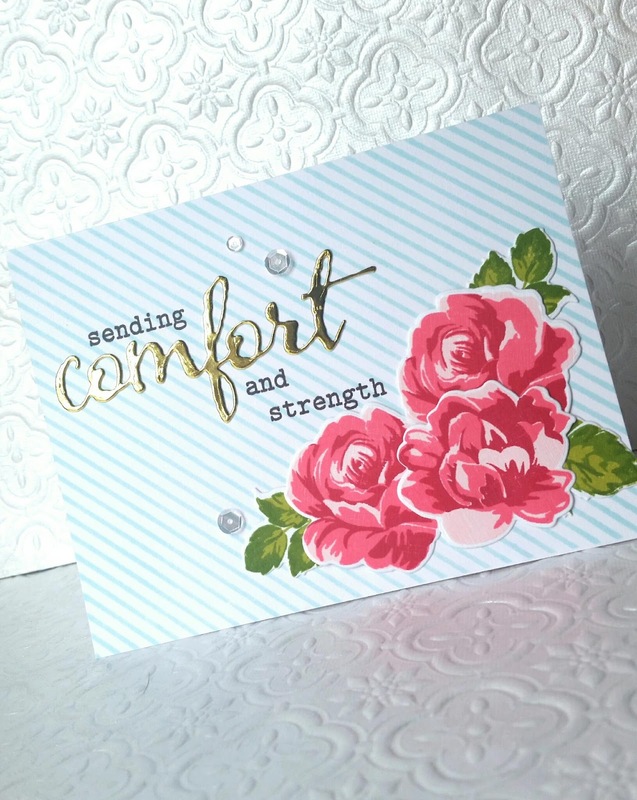 I used Altenew’s Vintage Flowers stamps and dies, along with their red ink quartet and PTI’s simply chartreuse and new leaf inks for the leaves. The sentiment is from Winnie and Walter. The background stripes are a Market Street Stamps background stamp, stamped with Simon Says Stamp Sea Glass ink. (Sadly, MSS is no longer in business.) A few sparkling clear sequins from Pretty Pink Posh finished it off! Simple techniques, easily mailed, simple layout… I’d say that fits the bill! I like the idea of challenging myself to not fuss over things so much, but boy was it more difficult than I expected. I hope everyone is having an absolutely wonderful holiday weekend! Stay safe, make good choices, and have fun! Ooooh, love this one so much. This stamp set is at the top of my wishlist and now that I've seen your beautiful card I'm definitely getting it next month. Thanks, Diana. It seriously is one of the most gorgeous floral sets I've ever owned, and that covers quite a lot of photopolymer haha! You need these flowers in your life!